Pot Bare Root Trees NOW! 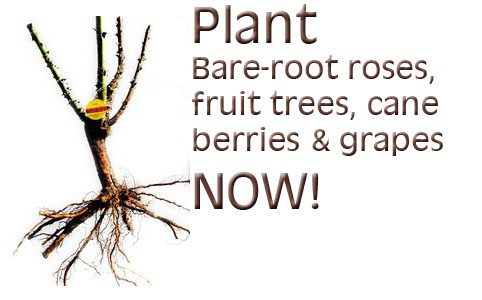 Now is the time to shop for and plant bare-root roses, fruit trees, cane berries and grapes. Soak the roots in a bucket of water before planting. Make sure the pots under eaves are receiving enough water. Even in rainy weather, they may get too dry. If frost is in the forecast, water sensitive plants the afternoon before. Well-hydrated roots can help stave off frost burn. 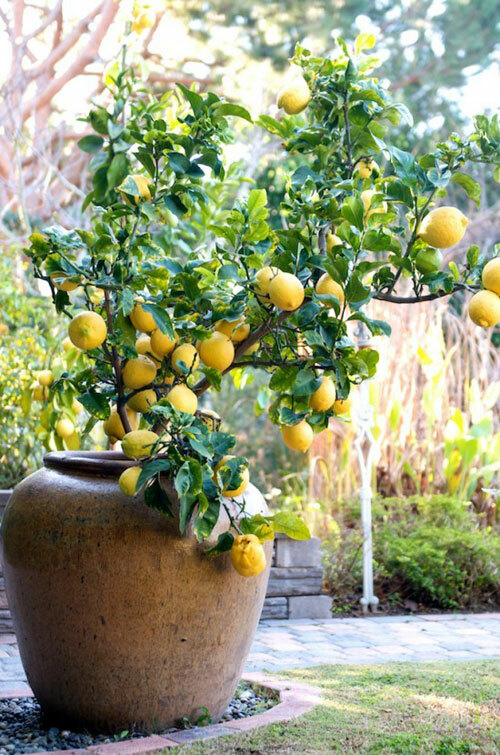 Most fruit trees can be planted in garden pots. The one exception is cherries, since even dwarf types can reach 10 feet in large containers. Of course when choosing containers bigger is better. 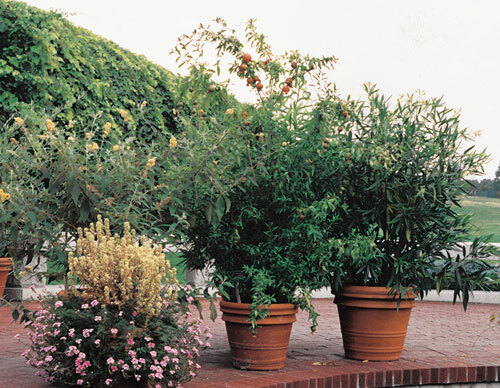 Start with a pots that's at least 18 inches deep and wide, and has drain holes, then fill it with quality potting mix. This gives the root's lots of room to get a healthy start with. The best material used is terra-cotta because it is meant to breathe and helps keep the root system healthy. However, terracotta is also meant to break down over time. It will absorb the water in the soil and over a few years the chemicals in the water will eat away at the clay, causing it to eventually rot away. Most containers will work as long as they have a drain hole, so look at using colorful ceramic pots, decorative poly resin, or concrete. Dwarf trees are great because they remain fairly small and manageable. They are easy to pot and can be placed next to a kitchen door or on a patio area. If your tree gets to large, you can always plant it in your yard. Tips: Soak roots in water for at least 4 hrs before planting. 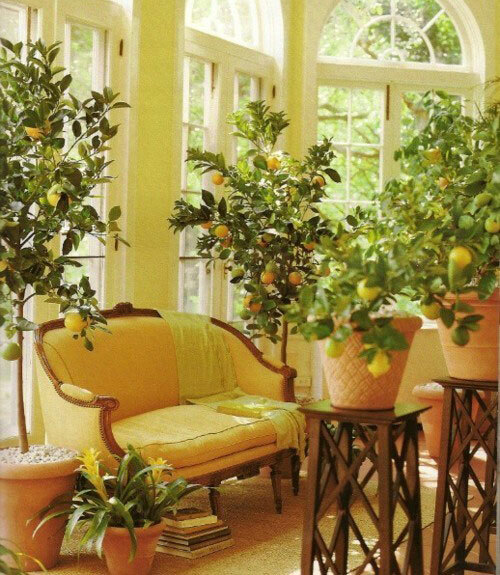 Plants that get full sun, good air circulation, and regular water and organic fertilizer are least prone to insects and diseases, making pest control easier. Good sanitation also helps. 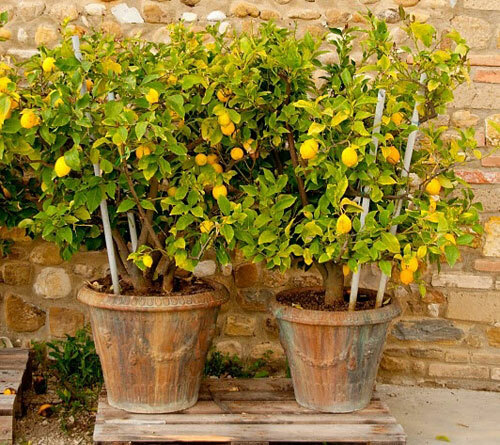 Harvest fruit as soon as it matures, and keep the ground around the pot clean of leaves and fruit which attracts pests. If birds are a problem, cover the fruit tree with netting. It helps.